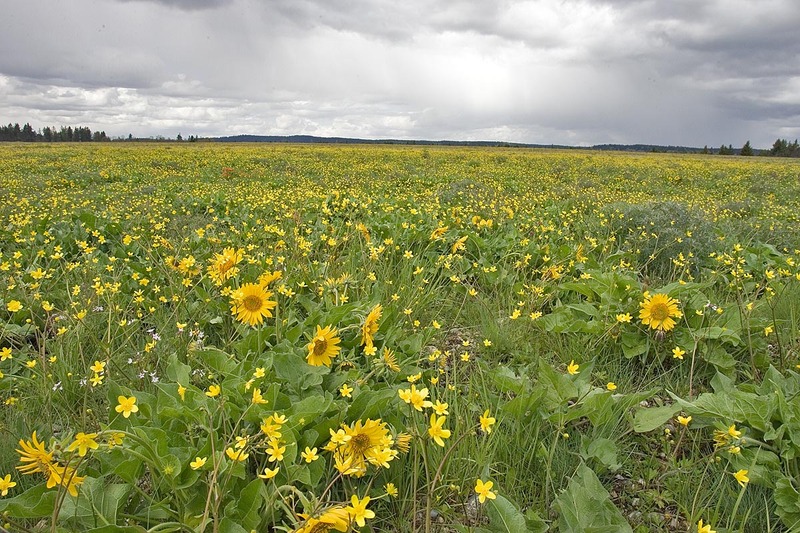 Efforts to recover the Taylor’s checkerspot in the prairies of the Pacific Northwest and British Columbia are a collaborative effort and make use of innovative partnerships and programs. 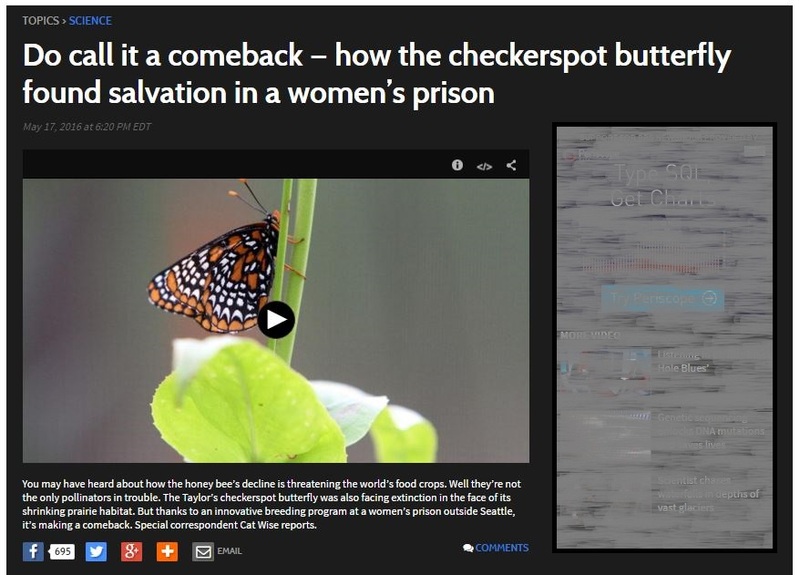 PBS special correspondent Cat Wise interviewed JBLM’s Dan Grosboll, SPP’s Kelli Bush, WDFW’s Mary Linders, as well as Mission Creek Corrections inmates Susan Christopher and Michelle Dittamore and former inmate and current Evergreen student Carolina Landa to illustrate the captive rearing and reintroduction program to benefit South Puget Sound Taylor’s checkerspot. It’s a great video and was played nationally on PBS’s NewsHour. Well done all! The 8 minute video and full transcript can be found here or by clicking the image below. Click here to view documents relating to Taylor’s checkerspot on the CPOP Technical Library.